Rub those eyes and pinch those forearms because this isn’t a dream. The hulking brute sat before you is the latest offering from Texan tuners Hennessey and it means business. 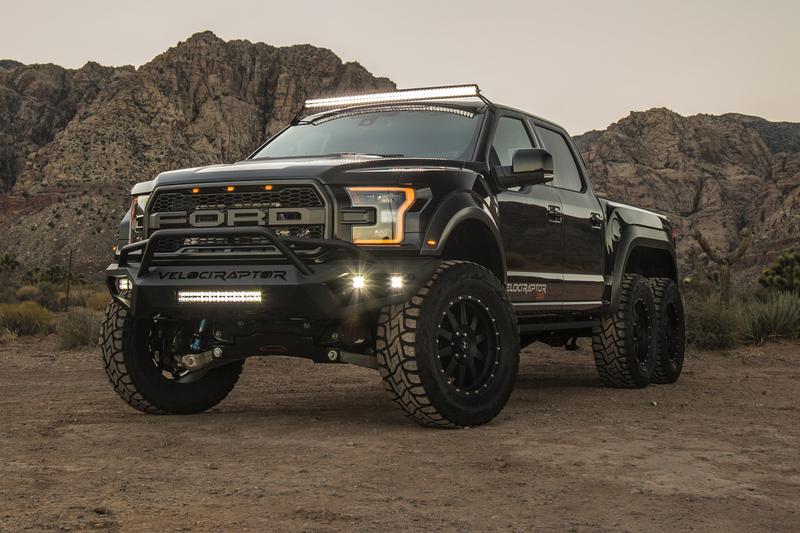 Based on a standard Ford F150, which is a pretty serious machine anyway, the Hennessey VelociRaptor 6×6 throws into the mix three locking axles, improved Fox suspension and six wheels wrapped in beefy Toyo Open Country tyres. 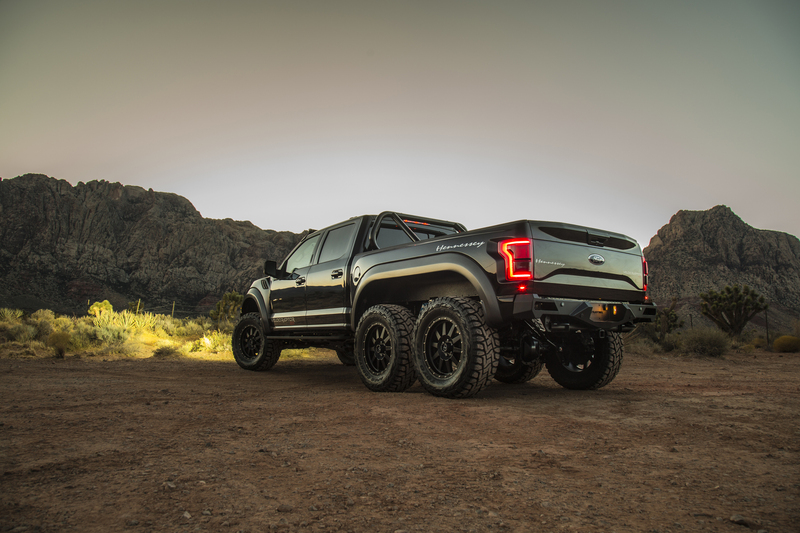 The same 3.5-litre V6 that resides in the standard F150 also features here but Hennessey has bolted on its own turbocharger upgrade, a tweaked ECU and revised intercooler, which mean the monster truck flexes 597bhp and 622lb ft. The upgrades alone have added some 300kg to the Hennessey VelociRaptor 6×6’s chunky frame but the 0-60mph sprint remains a mightily impressive 4.9 seconds. Of course, customers parting with the $349,000 (£260,000) asking price can also specify numerous optional extras, including Brembo front & rear brake upgrades, larger wheels and tyres, LED lighting upgrades, bespoke interiors, electronic upgrades and bullet-proof armouring systems. “Our VelociRaptor 6X6 is pure aggression on wheels – all six of them”, a Hennessey spokesperson exclaimed. Unfortunately, the Texan tweakers will only build 50 VelociRaptor, with very few likely to hit UK shores. However, if you’re really desperate for a six-wheeled off-roader with serious attitude, there’s always the Mercedes-AMG G63 6×6, which can be sourced for around $800,000 (£600,000) on the used market. We’re gonna need a bigger driveway.